Kuningan celebration in Bali this month will take place on September 8th, 2012. After the celebration of Galungan, will continue to Kuningan celebration. Kuningan ceremonies are always on Saturdays. And Kuningan ceremony should not be later than the middle of the day. It should not be later than at 12.00 noon. 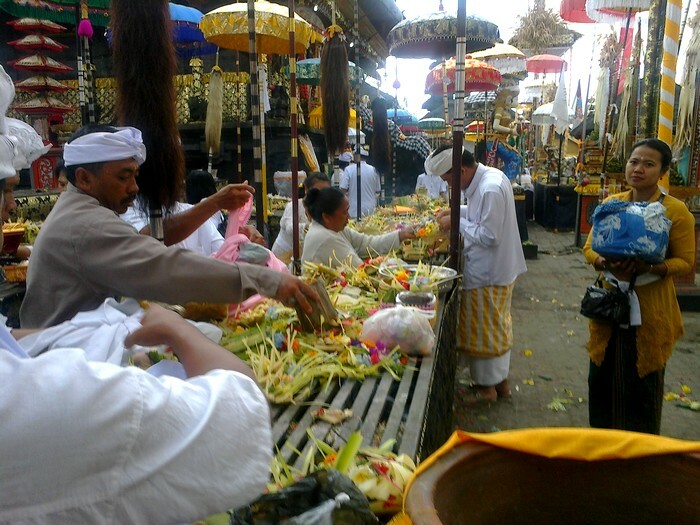 Kuningan celebration comes ten days after Galungan. This is a special celebration devoted to the ancestors. The ancestors that after a while since Galungan are with the family, once again presented offerings in the farewell ceremony, to return to heaven. In celebration of this Kuningan, people should be aware, life is like a wheel of nature, and man must remember the laws of nature. If man is not able to adjust to nature, or do not obey the laws of nature, the risk would be run over by the wheels of nature. Therefore, through the celebration Kuningan, humans should be able to rebuild a harmonious life, according to Hindu religious purposes. And the most important provision in living life is science.